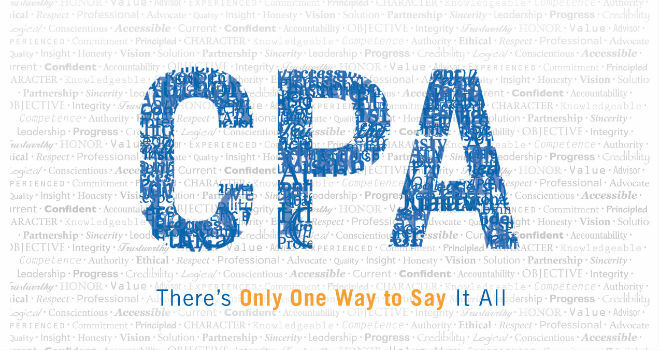 With an average pass rate of only 49.7% in 2014, the CPA exam has a reputation for being challenging – but it’s also a necessary step on the way to becoming a CPA. Fortunately, there are steps you can take before the exam to increase your chances of passing. 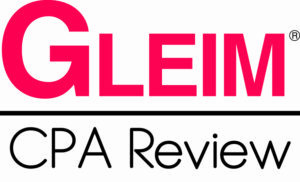 From simulations to study guides, from the right CPA review courses to a good study ethic, here’s a comprehensive review of strategies that can help you beat the odds. Don’t forget that the CPA exam is a test of all the knowledge you will need in your accounting career – cramming will certainly not be enough. The CPA exam tests academic knowledge, so it is best taken when the knowledge is fresh in your mind. It is recommended to take the exam as soon after your degree as possible – it will be much easier to remember the information if the accounting classes are not too far behind you. When scheduling your first exam, keep in mind that it will take at least 4 to 6 weeks between applying and being approved to sit on the exam. It is also advisable to give yourself plenty of time to study before each section of the exam. So what kind of materials can help you study for the CPA exam? One of the steps that can really make a difference is taking a good review course. 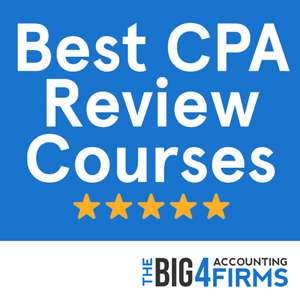 Review courses tend to focus on the exact areas that matter the most on the CPA exam – and can thus save you time and help you study efficiently. If you’re having trouble organizing your time or breaking down the material into manageable chunks, a study guide or a review course can help you. However, review courses are not all created equal. Some are online, some are face-to-face; they also differ in terms of scheduling, location, cost and quality. Audio courses can be very helpful in reviewing on the go. Find the learning style that suits you best and choose a course that will focus your efforts. Simulations can be an important part of revision, so try to find a course that recreates the exam experience to make sure you won’t be caught off-guard on the big day. Verify the pass rates of former students independently and try to find their reviews. Even if you’ve selected a review course, it’s a good idea to check out the set of tutorials and sample tests on the AICPA website as a starting point. Whatever preparation materials you choose, make sure they are up to date – regulations can change, so your old college textbooks may be outdated. However, they can come in handy when you’re struggling to grasp a difficult concept, so keep a reference accounting source nearby to make sure you really understand what you’re learning. Studying for the CPA exam is estimated to take around 500 hours, with the FAR section taking up the most time. You certainly cannot over-study for this exam – and reading hundreds of multiple choice questions won’t help that much either. Instead, make sure you understand the topics and concepts, take the simulations and prepare your mind for working through the difficult questions that may crop up on the exam. It cannot be overstated how much knowing your strengths and weaknesses will help you prepare for the CPA exam. Whether you’re a morning or evening person, whether you work well alone or in a group and whether you study better under pressure or not, choose a preparation plan that fits you. It sounds simple, but learning how to study for The CPA Exam is almost as important as the studying itself. Make sure to take a review course with plenty of interactive and visual aids if that helps you recall information; organize a study group if you prefer talking things over; set milestones for yourself and ask other people for support if you need an extra push. Most importantly, hold yourself accountable. Make a plan and stick to it; study intensively for six days and take a well-deserved day off at the end of the week – a reward to keep you going. Turn to people in your life for support and encouragement. When procrastination knocks, make sure there are no distractions – switch off your phone, keep the lure of social media out of reach, block the sites that help you procrastinate. This may sound extreme, but it can do wonders when it comes to your time management. If everything else fails, write down why you want to pass the CPA exam – why this qualification is important to your life, your career, or your personal sense of achievement – and remind yourself of it every day. It’s not just about the number of hours you put in, it’s also about how you spend these hours. Good planning and a good review course will help you focus on the right areas. To make use of the time you spend commuting, jogging or doing chores, choose an audio review course or download exam materials on your phone or tablet. Flashcards and a whiteboard can also help you recall information in an efficient manner. Studying for the CPA exam can seem daunting, so make sure to break down the material and set small studying goals for yourself. Reward yourself when you reach these goals with a little time off. Most importantly, take care of your well-being throughout this time. Preparation for the CPA exam can take many months, so make sure you sleep well, have a healthy diet and keep exercising, as this will reflect on your ability to study. Avoid the temptation to pull an all-nighter before the exam – a good night’s sleep will help you much more than a few hours of last-minute cramming. Although some concepts and questions can seem difficult, passing the CPA exam is not about being smart – it’s about not giving up. Hard work will pay off eventually – so try your best and don’t be disheartened when simulations seem difficult. The CPA exam is notoriously difficult and the passing score for each section is 75 – this is not an easy achievement; it is meant to take time and effort. It’s all about persevering until you succeed. It may also help to remember that you can fail an entire testlet or sub-unit on the exam and still pass the section. Many questions are purposefully difficult and won’t make a great difference to your score – so don’t lose confidence even if things do not appear to be going as well as you’d hoped. Your attitude to studying can affect how efficiently you study. If you stay positive and avoid catastrophic thinking you will make it easier for yourself to get started on revision – and getting started is often the hardest part. Make sure to take breaks often – you will remember information better if you study in shorter blocks. However, the breaks shouldn’t take up most of your study time. Stick to your schedule; even if you fail to study as much as you wanted in a given amount of time, don’t beat yourself up and remember that now is always a good time to start improving your habits – rather than dwelling on the past. Use everything that motivates you to your advantage: a quiet place, post-it notes on your wall, study music, a cup of coffee (preferably in moderation). If you’re tired, nap or exercise for a bit and come back to the material with renewed energy. And finally, focus on your goals more than on the difficulties – being able to say that you passed the CPA exam is no small feat indeed! You are now hopefully ready to start and brimming with excitement to take the first step towards enhancing your career with that impressive CPA title. Although a pass rate of 49% may sound daunting, it doesn’t have to be. As long as you give yourself enough time and succeed in staying motivated, there is no reason not to achieve your goal. Working towards a CPA qualification takes commitment, hard work and determination – and the CPA exam is just a stepping stone. But as a prospective CPA, you surely know all about the worth of overcoming a difficult obstacle – and maintaining this attitude will put you in good standing for the CPA exam and your future career. A woman shares her experience and offers tips on how to pass the cpa exam while working.